The workshops addressed key issues associated with the societal benefits of Earth observations and the exploitation of Earth observation for societal policy and decision making. Providing Earth Observation Support to the Monitoring and Implementation of the Sustainable Development Goals: Gaps and Priorities: Solving complex societal issues increasingly depends on information and knowledge derived from Earth observations and in Europe a rich landscape of Earth observation networks and actors aims to collect and process the necessary observations to satisfy these information and knowledge needs. Nevertheless, there are many gaps and the goal is to identify and assess these gaps in support of decisions on which gaps to address with high priority. The Gap Analysis workshop discussed the outcomes of the gap analysis and prioritization performed in the ConnectinGEO project. This gap analysis was guided by the information and knowledge needs resulting from humanity's “Road to Dignity” detailed in the Agenda 2030 and specified in the 17 Sustainable Development Goals (SDGs) agreed upon by the United Nations. Both the monitoring and implementation of actions to achieve these goals require extensive support from Earth observation and science communities. Several directives and crosscuting issues in Europe provided further guidance for the gap analysis. 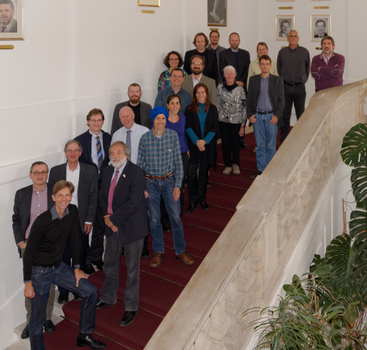 The workshop provided a forum to review the methodology for gap analysis and prioritization, discussed the relevant gaps and priorities in the European Earth observation networks and developed a strategy to address those gaps that have a high priority assigned. Discuss a strategy to address these gaps and provide recommendations for the European Network of Earth Observation Networks (ENEON) and the European Commission concerning high-priority gaps.